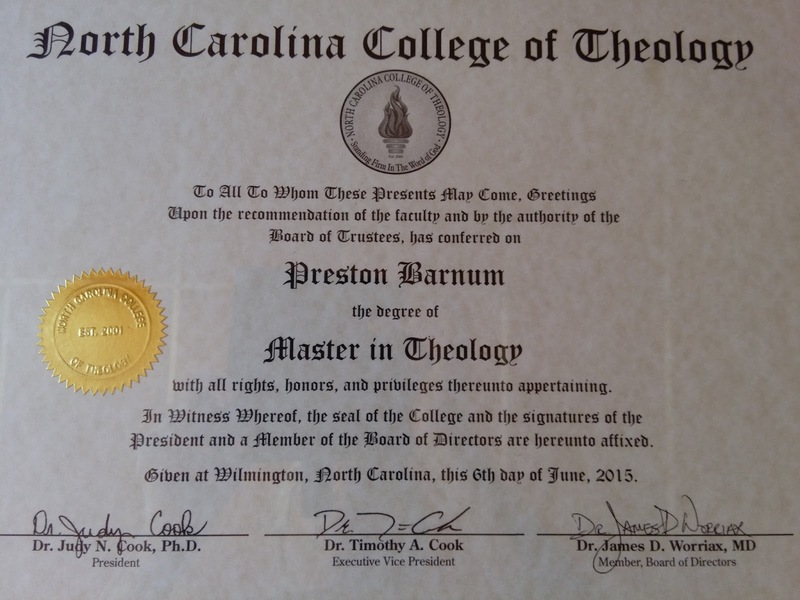 For the last nine months, we scaled back some of our activities in order to give Preston the time he needed to pursue his Master's degree in Theology. It's been a busy and demanding time for him. Our work and duties in Nicaragua never cease and there are always interruptions to our schedule and personal time. He had 16 books that needed to be read along with other reading materials and of course an intense study of the Bible. We were fortunate that many of the books were available as a Kindle download. There were at least 6 books plus the workbooks that needed to be hand delivered to us. When I talk about books, I'm not talking about 200 page books, some of them had 400 plus pages. 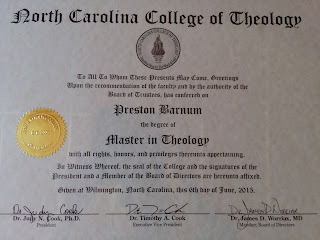 Preston was able to hand deliver his thesis to MorningStar University during our early spring visit. This meant that he needed to have it completed 2 months before it was actually due. Graduation day was exciting even though we were not in attendance. Thanks again to webstream, we were able to be a part of all that was taking place. I'm still amazed at the mind that God has given man. Look at the technology available to us today! A person can video call to someone on the other side of the world; which we have done since living in Nica. What's not to love about livestream; it is the next best thing to being at any event. Even better, pass the popcorn please! I am super proud of my husband! He stayed focused and accomplished a dream of his life. Now, he's talking about beginning studies for his doctorate. I've told him that he needed to put the brakes on. Back to back studies puts a lot of demand on the ministry. We were able to have a payment plan for his tuition but it was a big personal sacrifice to our all ready overly tight budget. I'd prefer to try to save some money before the next study. One question I have had for him which he has not answered yet. When he receives his doctorate, will he expect me to call him Dr.